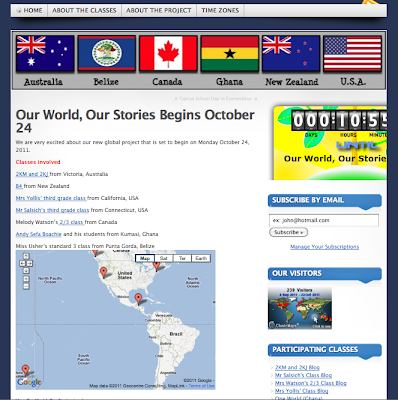 Mrs. Yollis' Classroom Blog: New Project: Our World, Our Stories! Mrs. Yollis and her class are excited to be part of a new global project! The students are all from elementary school classes and are from three different continents and six different countries. A different class will “lead” a topic on the blog each week. The lead class will publish posts and reply to comments. Topics will be based on students’ interests such as school games, hobbies, food, and local environment. 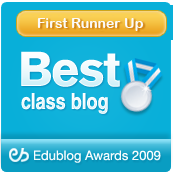 The other classes will read the posts, possibly publish their own posts, and leave blog comments. The students will be able learn a lot from getting to know how the other classes live their lives. We plan to have a special celebration in December to finish our project! Do you know anything about Australia, New Zealand, Canada, Ghana, or Belize? I've been following the development of your global classroom through the posts of 2KM and 2KJ. This is going to be a unique experience not easily possible all that long back. Wow this is going to be such a wonderful project for you all. I think it is so wonderful that you have three different continents with six different countries all working,shairng and learning all from each other. It will be so interesting to see how all of you will be learning together as one. But the best thing of all is you all will be forming wonderful friendships. Friendships that hopefully will last a life time. Have fun with this awesome project. This project sounds like it will be interesting because I will get to learn many facts about different country's. I would like to know what poplar food do the people in Ghana like to eat. I also want to know what the weather is like. I can't wait until we start this project. Wow! What an incredible opportunity for all the children and families involved in this project! It's like packing a bag and taking a trip around the world! It will be interesting to discover what these six foreign countries have in common aside from their official language. Looking forward to reading and learning from the comments and posts the students will be exchanging. Hi my name is Millie and I am in 2KM and 2KJ. I l♥ve your post about our world our stories I love the project too. I know that you guys are different because you have you have Tuesday now and we have Wednesday now and Canada is like the same as you. New Zealand starts school at a different time and finish at a different time. Gander I don't know that much but they have lots animals. It is exciting, indeed! It has only been going about two days and already so much learning has taken place! I love how it brings students, their parents, teachers, and friends together! I think it is wonderful too! Who knew the world could be such a small place! My class thoroughly enjoyed Bianca's antonym page! What a clever idea! What are two questions that you want to know? Let's see if we can solve them! 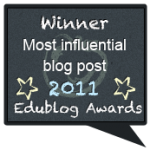 Thanks so much for being a big supporter of our blog! I love your simile..."It's like packing a bag and taking a trip around the world!" Feel free to follow the blog via the email subscription! I love your comment, Millie! You are such a great writer! Isn't it hard to believe that it is Tuesday right now and I'm typing to you...where it's Wednesday! The world is a funny place! What are two questions that you would like to find out about through our project? 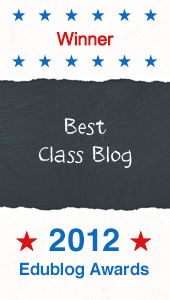 I have really enjoyed reading your classroom blog. It has been a great inspiration for my Grade 6 class in Canada. 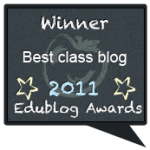 My students have just started blogging and they are really enjoying it. You might get some insight into a typical Canadian classroom for your project!! 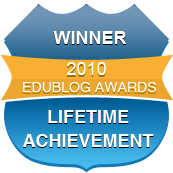 If you do visit, please be sure to leave some comments for my students on their blogs. They would be so excited to hear from fellow bloggers. Good luck with your blogging project! We will be sure to check in often. I went to school in England and had to wear a school uniform. I'm wondering if any of the other countries you are talking to have to wear a uniform. In our public school in California, we do not have to wear a uniform. Im Jordy from 6ML, I live in Victoria, Australia. I or as I should say we are the "Morning Fitness Crew". I love your idea of having a project that sounds so fun! I'd love to do something simular. It sounds very interesting talking to different people from around the world. Your global project is very exciting. I think traveling to other countries and getting to know the people there is just about the best way to build global bridges. Your project brings the students and their communities to you, how wonderful. When you students are in high school, you might want to be an AFS or Rotary exchange student. Perhaps you can check into the local programs in your area and have one of the visiting students visit your class. November is international month and the students are available to visit schools and share about their cultures. My family had a student from Ghana live with us two years ago for the entire year. Sasha got to meet her when our family celebrated Sasha's cousin Gabe's bar mitzvah. Imagine how that experience was for a young Ghanaian girl. I'll try to find the picture I have of Sasha and Maureen together and send it to your class. Your video about a day in your school was fun to watch and now I too feel like I have a better idea of what you do at school. I think you will find many similarities as well as differences about a day at school for kids in the other countries. This is so such an exciting project for you all to learn through. It's exciting that you'll be focusing on six different countries, but will learn so much more when people from other counties connect with you also. I am so inspired by what you're doing. I know that I'm learning quite a bit through your blog collaboration. I do not know much about Ghana, especially about the children, and am eager to learn more through your project.